Happy Monday! Next month we are headed out to Aspen for the wedding of some dear friends. We are beyond excited about this adventure and are really looking forward to taking Oliver to the mountains. We will be spending most of our time in Aspen (with a day or so in Denver) and have some free time while there. I am an avid trip planner so I'm starting to gather up ideas of things that we just can't miss. Have you been? What should we do? I've only been to Aspen once, but it's darling. There are half a billion things to do in Denver, but I'm sure you'll figure that out. Enjoy! The mountains have been gorgeous lately! Thanks! I'm so excited to see the mountains again! sounds like such a great trip. i'm actually living in denver and there is so many great things to do here..don't miss taking a walk down broadway baker neighborhood..think you would love it, tons of little boutique shopes and restaurants. i would say baker neighborhood is one of the more quirky places in denver but then again i live in the area so i might be biased. Thanks for the info! I haven't been to Denver in so many years, I don't even know where to begin. We will definitely check it out! 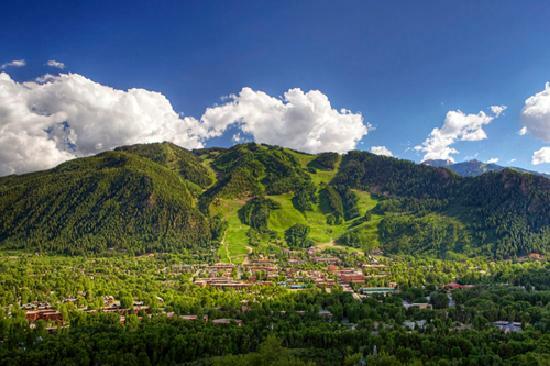 I lived in Aspen for four years and just returned from one of my annual visits. I truly love it there and you are going at (in my opinion) the most beautiful time of the year. The Maroon Bells - driving and parking is limited so try to take the bus. Your hotel can help arrange. Hiking - there is something for all fitness levels from a walk on the Rio Grande to Little Cloud on Aspen Mountain to Smuggler Mountain. Again, your hotel can help direct you. The eating is wonderful! You won't miss out by trying any restaurant. I just ate at Casa Tua and Justice Snow's (both new to me) and both were great. Kids love Boogies Diner (a long time local) and Mezzaluna is a good hangout. There is a wonderful kids playground on the mall (pedestrian mall) next to Wagner Park, and families hang out there playing and running for hours. Plan to be outside, getting sun and breathing the mountain air. Beyond that, you don't need to plan much else ;) Enjoy! Thank you SO much for all the recommendations! We are really looking forward to this trip. It's going to be great!